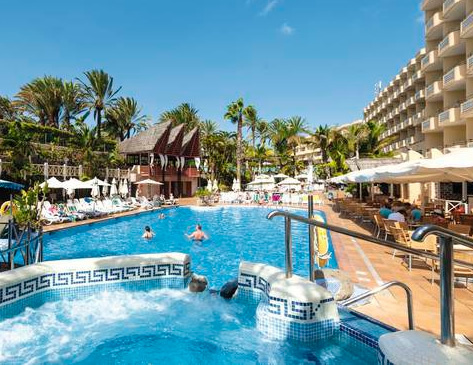 A popular family 4 star the Gran Canaria IFA Catarina is ideally situated just 300 metres from Playa del Ingles and close to the natural park of Maspalomas Dunes, the beach is only 900 metres away but if you don't want to walk the hotel operates a free return shuttle bus to the beach several times a day. The recently renovated property is well-known for its excellent service and gastronomy, as well as for its beautiful, large gardens where guests soak up the sun under palm trees, surrounded by flowers. 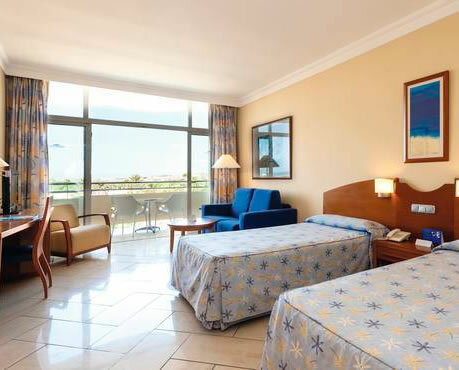 The Hotel has a total of 402 very spacious standard rooms with twin or double beds. It is possible to accommodate a third person or up to 2 children in the room. These well equipped rooms have furnished balcony, doors with magnetic card security locking systems, direct dial telephone, satellite TV, bathroom, and hairdryer, air conditioning in the summer months and in room safe for rental. 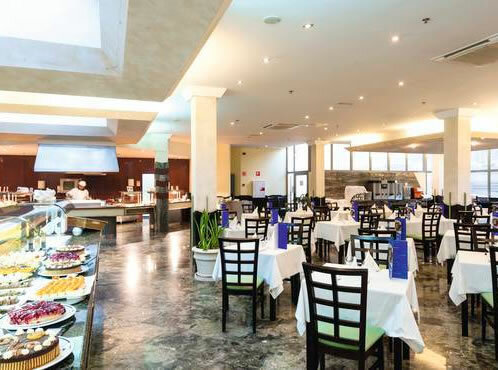 The food at the IFA Catarina is highly regarded, meals are buffet style in the main restaurant or guests can visit the El Rancho restaurant, specialising in barbecued meats, from where you can enjoy wonderful views over the swimming pool and a pleasant atmosphere. 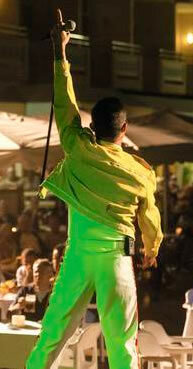 The hotel has a lounge bar, the 'La Tasca' pub, the 'Venecia' cafe/juice bar and a pool bar. In summertime, the hotel is especially devoted to families. Cots, baby baths with changing facilities and thermometer, baby bottle warmer and mini-bar will be placed in the rooms. If required, you can get prepared baby food in the restaurant and special menus for children from 4 to 12 years old. There are baby high chairs. Caffeine free coke and still drinks are also available for children. Your little ones will be perfectly looked after in this hotel. For their entertainment, the hotel offers games in the open air, sporting competitions, as well as craft and cultural activities. In the Mini Club children will enjoy, a youth disco, party games, crayons, plasticine, children's television/videos and much more. The children's library, the pool with slide, the Jacuzzi for children, the children's park and babysitter (on request at extra cost) complete a wonderful range of facilities for families! The hotel has a host of facilities including, 2 swimming pools (1 heated in winter) kid's pool, 2 Jacuzzis, waterfall, secluded nudist solarium on the hotel roof, entertainment programme, 2 quartz sand tennis courts, tennis lessons*, table tennis, billiards*, table tennis, shuffleboard and cyber cafe*. 2 golf courses are available nearby. *Extra Cost may apply. In addition the hotel has a 24 hour reception, hairdressers, boutique, newsagents, massage service, a health centre and baby sitter service available. 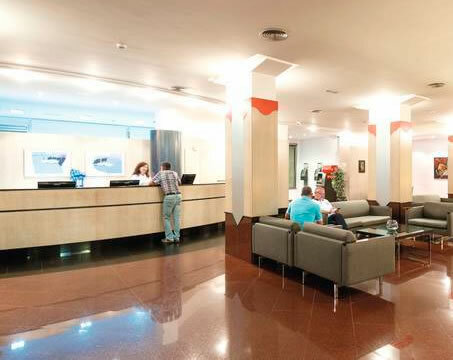 The hotel also has several conference and meeting rooms of varying sizes.